As winter fades slowly into spring, crappies and other panfish begin a predictable transition from thermally stable, deep water basins toward warming shallows where the food web of the lake is beginning to bloom. This general movement may take a number of weeks, and can be easily interrupted by unstable spring weather. However, in general terms, during the weeks after ice cover leaves the lake (or water temperatures begin to rebound from wintertime lows), crappies are on the move with shallow water as their ultimate destination. 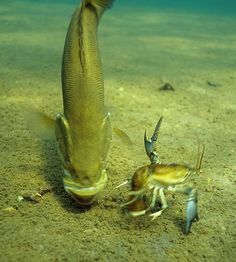 This is a movement that will eventually lead to spawning, but reproduction is not driving this initial transition; feeding is! 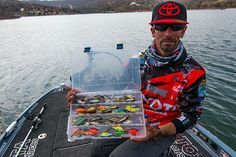 Many anglers will impulsively head to the shorelines and back ends of soft-bottomed bays as soon as surface temperatures begin to increase. While some panfish may be found in these waters, the vast majority of the population, and nearly all of the quality fish, are most likely to be located in transition areas between the deep water basins and shallow spawning grounds. They will remain here until the shallows become consistently warm. My most important tool for locating cold water crappies is my Humminbird ONIX system equipped with Side Imaging. I will patrol transition areas between deep water basins and shallow feeding (and eventually spawning) grounds until I locate large numbers of fish. I am specifically looking for large collections of white “spots” against an otherwise darker background; these represent schools of crappies that are in transition from deep to shallow water. For example, in this screen capture from my ONIX10ci SI system, there are two groups of crappies (circled in yellow) in deep water (10-18 feet), as well as a large group of crappies on the right side image, patrolling a deep weed edge (circled in red). Notice that the shoreline is nowhere in sight; these are transitioning crappies that have not yet reached the shallows. Side Imaging is such a powerful tool for finding fish that I will not stop to try to catch fish until I identify those fish using Side Imaging. The Side Imaging feature of my ONIX10ci SI system reveals schools of cold water crappies. Precise boat control is important for staying on top of these groups of transitioning crappies. I make extensive use of the Minn-Kota iPilot Link Spot Lock feature when targeting cold water crappies. When crappies are actively feeding in a specific area, like the deep weed edge illustrated above, I use the Spot Lock feature to hold my boat in position near the school, so I can focus all of my attention on presenting baits and catching fish. 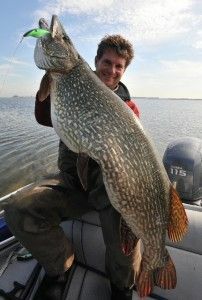 If I lose contact with the school, or if the biters turn from slab crappies to “Tiny Tims”, I will reposition the boat by 10-20 feet along the weed edge until I make contact with the school again. You can see an example of this Spot Lock/Re-position cycle in this screen capture from my ONIX system, as I adjust my boat’s position along the weed edge. Remember, the fish are here to feed, and much like a herd of cattle, they will graze in one area until the food source is exhausted. Then, they will be on the move again – it’s your job to stay with them. The Minn Kota i-Pilot Link system illustrates saved Spot Lock locations with Anchor icons on my ONIX display. 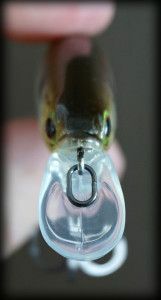 A classic technique for targeting cold water crappies is to dangle a lively minnow above their heads, suspended from a bobber. Allow me to encourage you to try something different this spring: fish exclusively with subtle soft plastics rigged on light jigheads. 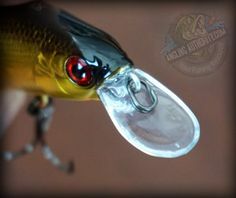 I rely on the Ratso from Custom Jigs and Spins to put spring and early summer crappies (as well as bluegills and perch) in my boat. The subtle action of the Ratso’s tail is an outstanding trigger for cold water panfish, and the small profile is an excellent mimic for the insect larvae and other invertebrates that constitute the primary forage in these warming waters of early spring. Share spring crappies with a youngster, and gain a fishing partner for life! 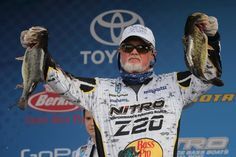 Cold water crappie fishing offers some of the most consistent and reliable opportunities of the year to catch fish. Take advantage of this period to share the outdoors and your love of fishing with a young person. If you invest a little time and effort to find fish with Side Imaging, and position your boat for effective bait presentation using the i-Pilot system, your young guest will reap the benefits of your efforts and reward you with smiles, laughter, and maybe even your first fish fry of the season. So shed those winter coats and enjoy some spring crappie fishing with a youngster today!